If you're cool you've already picked up the Xbox 360's HD-DVD drive to watch all those high quality Hollywood movies in stunning high definition. What's even better is that, with some potentially illegal software, you can plug the Xbox 360's HD-DVD drive right into your Windows-based PC and enjoy high def movies on your computer! Literally, all one needs to do is install the (illegal?) drivers then plug the drive in the drive and you're all set for a night of movie watching. 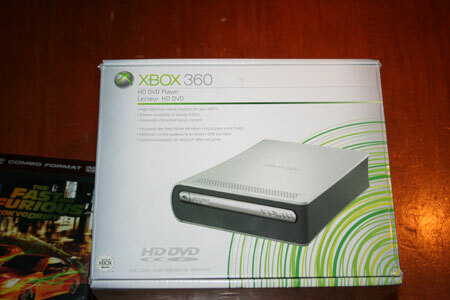 How Does The Xbox 360 HD DVD Work? File this under, why would anyone want to do that? Because they can.